Clean and simple, this transitional love seat is the perfect option to update your home with. 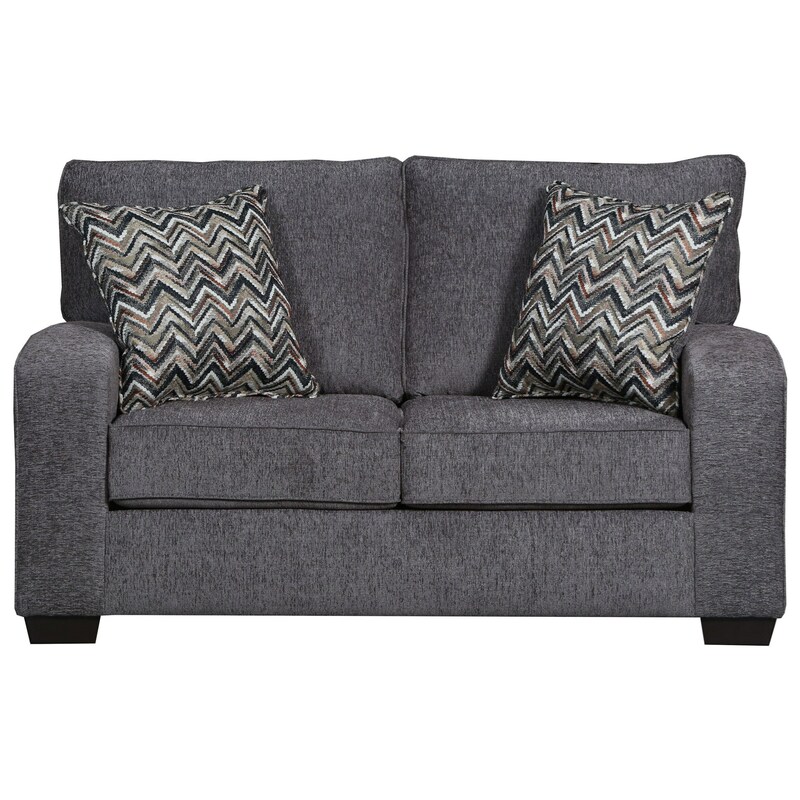 Wide, curved track arms and visibly plush seat and back cushions create an inviting look your guests will love. Transitional in style, this love seat will blend perfectly with any existing decor from traditional to contemporary. Complete with coordinating throw pillows, this love seat will make a great addition for your home. The 7077 Love Transitional Seat with Track Arms by United Furniture Industries at Household Furniture in the El Paso & Horizon City, TX area. Product availability may vary. Contact us for the most current availability on this product. The 7077 collection is a great option if you are looking for Transitional furniture in the El Paso & Horizon City, TX area. Browse other items in the 7077 collection from Household Furniture in the El Paso & Horizon City, TX area.